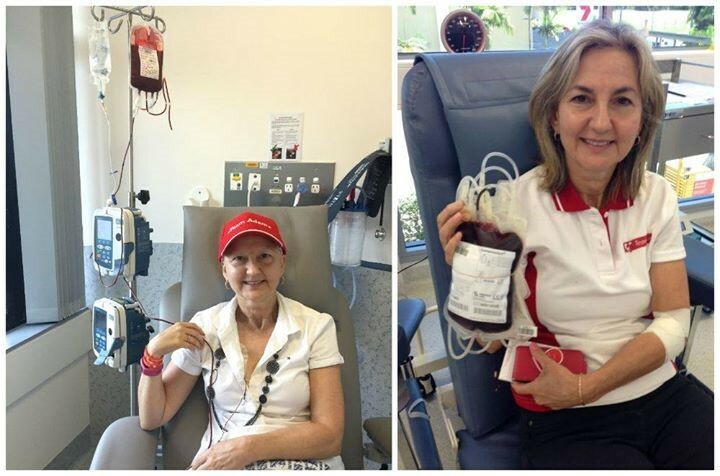 Last Thursday (17th Sep) Lu became the 1 in 3 Australian who requires a blood product. She received her first blood transfusion as part of her ongoing treatment for Breast Cancer. Constant chemotherapy has started to take a toll on Lu’s blood cells with tiredness and dizzy spells becoming more frequent. It was only 8 months ago that Lu was proudly photographed after making a blood donation herself. Like most cancer patients, Lu will be forever grateful for the generosity ofblood donors. Incredibly, 34 % of all blood donated is used to help cancer patients through their treatment. A special thank you goes out to all our Team Adem blood donors for keeping your regular appointments and for encouraging your friends and family to donate with you. Together we have potentially saved the lives of over 9500 people to date in 2015 – and Lu is now one of them.